Brian May, a retired U.S. Air Force colonel, has been appointed a senior vice president and Air Force national market leader at engineering and consulting services provider Michael Baker International. The 25-year military veteran most recently served as general manager of government electronic benefits transfer services at payment processing technology company Solutran, Michael Baker said Thursday. "We look forward to Brian's leadership with our client service teams, local offices and market leads to develop both tactical plans and strategic positioning for key opportunities," said David Boone, chief growth officer at Michael Baker. His Air Force career included leadership of installation planning, facility design, construction and capital investment efforts. He worked as director of facility engineering at the service branch's Civil Engineer Center in San Antonio before he retired in 2017. 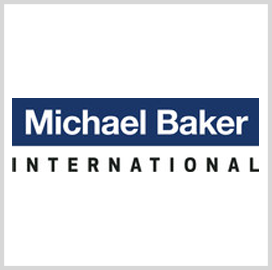 Pittsburgh-based Michael Baker offers design, planning, architectural, environmental, construction and program management services to the public and private sectors.